Maya Devi Temple is an ancient Buddhist temple situated at the UNESCO World Heritage Site of Lumbini, Nepal. It is the main temple at Lumbini, a site traditionally considered the birthplace of Gautama Buddha. The temple stands adjacent to a sacred pool (known as Puskarni) and a sacred garden. The archaeological remains at the site were previously dated to the third-century BCE brick buildings constructed by Ashoka. A sixth-century BCE timber shrine was discovered in 2013. In November 2013, an international team of archaeologists digging under the temple discovered the remains of an ancient tree shrine dated before 550 BCE, which is possibly the earliest evidence of Buddhist structures ever found and possibly the first archaeological evidence of Gautama Buddha's life. The excavation was headed by Robin Coningham of Durham University, UK, and Kosh Prasad Acharya of the Pashupati Area Development Trust, Nepal. According to Coningham, the shrine is "the earliest Buddhist shrine in the world." The discovery was made at a site traditionally thought to be the birthplace of the Buddha, under a series of brick temples below the current temple. The research also revealed the presence of fragments of mineralised tree roots, which is consistent with the Buddhist tradition that associates shrines with trees: Siddhartha Gautama is said to have been born beneath a sal tree, while his mother, Queen Maya Devi, supported herself by holding a tree branch after his birth. Julia Shaw, a lecturer in South Asian archaeology at University College London, cautioned that the shrine may represent pre-Buddhist tree worship, and that further research is needed. 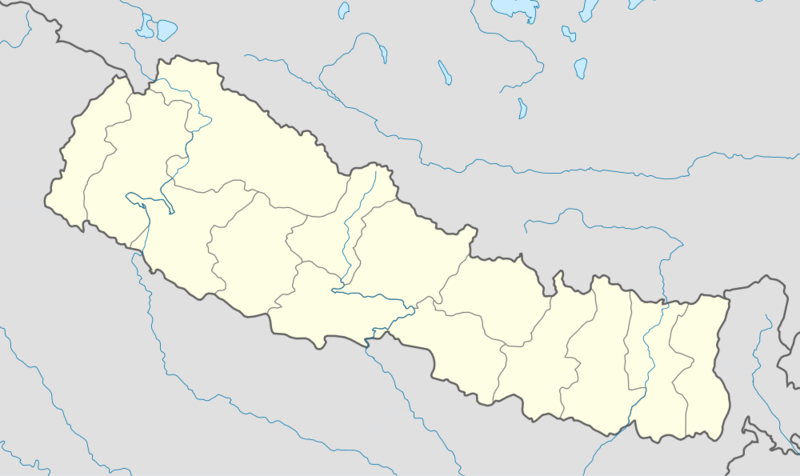 ↑ "Lumbini, the Birthplace of the Lord Buddha". UNESCO. Retrieved 26 November 2013. 1 2 Varma, Subodh (26 November 2013). 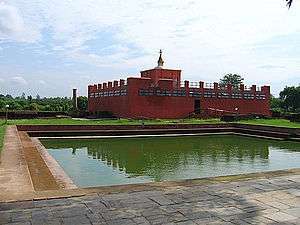 "New finds at Lumbini may push Buddha's birth to 6th century BC". The Times of India. Retrieved 26 November 2013. 1 2 Morgan, James (26 November 2013). "'Earliest shrine' uncovered at Buddha's birthplace". BBC. Retrieved 26 November 2013. 1 2 3 Vergano, Dan (25 November 2013). "Oldest Buddhist Shrine Uncovered in Nepal May Push Back the Buddha's Birth Date". National Geographic. Retrieved 26 November 2013. ↑ Wang, John (25 November 2013). "Earliest Evidence of Buddha Found in Maya Devi Temple, Lumbini, Nepal". Epoch Times. Retrieved 26 November 2013. ↑ Morin, Monte (25 November 2013). "A shrine within a shrine reveals evidence of Buddha's birth". Los Angeles Times. Retrieved 26 November 2013. Wikimedia Commons has media related to Maya Devi Temple, Lumbini.